Gardening season is here for everyone in the country now and I have a great tip. 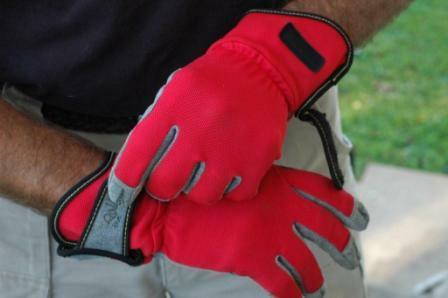 I have tried many different gardening gloves over my career and have found the very best. Why they are called vegan gloves I have no clue, but they are simply the best. The red color makes them easy to find (important for me I assure you), and they are comfortable, durable and flexible. You can do the roughest work, protect your hands and pick up a dime if you need to. They are reinforced inside and out, wear like iron, and for my money, a great value. I am confident you will love and use these gloves like I and many of my gardening friends have - so here's a little encouragement to try them.